We're located on Dallas Drive just past Teasley Ln. In front of NAPA Auto Parts, next to Gourmet Donuts. Are you looking for a storage provider you can trust? Then look no further by reserving a storage space today at no cost! Feel confident knowing you will be taken care of and your items will be safe. Our experienced staff will address your every need and will work with you when others won't. What are you waiting for? Reserve Today! Indoor Storage - Sizes from 5x5 (25 sq. ft.) up to 10x10 (100 sq. ft.) spaces available. Drive-Up Storage Units – Sizes from 5x5 (25 sq. ft.), 10x15 (150 sq. ft.), 10x20 (200 sq. ft.), 10x30 (300 sq. ft.) up to 16x20 (320 sq. ft) spaces available. Web specials are only available for new customers and online reservations only. No credit card is required to reserve and you can cancel at any time. Some units have limited availability - reserve while spaces last! 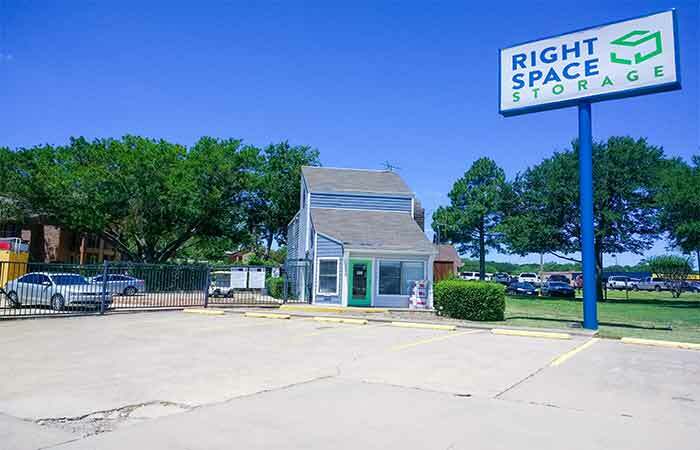 3919 E. McKinney St Denton, TX - Offering indoor, climate controlled and drive-up storage units near you., serving the residents and businesses of East Denton. Been by to look for a Storage unit 3 times now and no one is ever there or answer the phone when I called. I needed a storage for a couple of months, the manager, Bob, was very helpful and he found just the right size unit for me. They gave me a great deal and I would recommend this storage to anyone who needs one. The prices are super! DO NOT USE THIS FACILITY 1st they offered move in special and billed full price to my credit card. 2nd I rented 1 storage room on the 10th and another on the 22nd. They assured me they would be due on those dates. They then attempted to bill for both on the 1st. And licked my units. The man in the office refused his name or the # to his supervisor after I proved I had paid. He also refused to reimburse the fraudulent charges. The property is not kept up with there are huge weeds growing all over the place and trash. It floods anytime there is a heavy rain. The doors are old and hard to open and the system has locked me out several times for no reason which kept me from getting to my unit. The security is a joke. I will defiantly be looking for another place to store my stuff. Owner was great and personal with us and helped us get settled in easily into our storage unit. Great safe place to store your stuff! Friendly and helpful staff! Friendly Staff, Sizable space, Affordable price. I always think writing reviews like this is stupid, but seeing a place that treated me as nicely as they did (they offered to sweep out my unit for me after I told them my last storage unit charged me 50 bucks) only having 2 stars was too much.